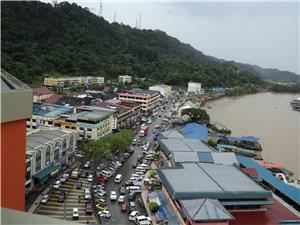 Limbang is best known as a border town in East Malaysia’s Sarawak region on the island of Borneo. 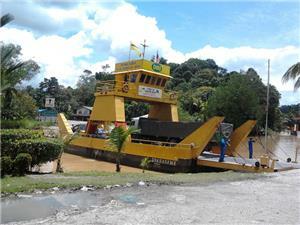 It is also culturally relevant as the capital of the larger Limbang District. Limbang itself was first made a part of Sarawek in 1890 when it was annexed from Brunei by the then Rajah of Sarawek, Charles Anthoni Brooke. As a city, Limbang is located right on the banks of Malaysia’s Limbang River and is merely a short ride (by either bus or boat) away from the capital of Brunei itself.Tourists and other visitors who flock to the city of Limbang come to experience the best of Malaysian culture in an authentic, peaceful setting. Popular attractions include the Limbang Regional Museum, which was originally a fort built by the Rajah in 1890, as well as Taman Tasik Bukit Mas a beautiful recreational park where travelers and locals alike come to barbecue, congregate, and enjoy their evenings. Shopping destinations and culinary opportunities abound at Limbang Plaza while culture enthusiasts can visit Pasar Tamu for a colorful taste of traditional Malaysian street culture at its finest. If you’re looking for the best transportation to Limbang options under the sun, then look no further than bus travel to Limbang. Limbang is well connected to a variety of major cities and surrounding attractions by road, so the bus system is a simple way to matriculate from location to location. Limbang bus travel is also incredibly cost conscious as well, so you can rest assured knowing that you can spend your money on souvenirs and delightful restaurant experiences, as opposed to transportation expenses. Getting around by bus also represents a priceless opportunity to support the local Malaysian economy and support eco-friendly travel practices. For more information about Bus to Limbang, check out details from us today!